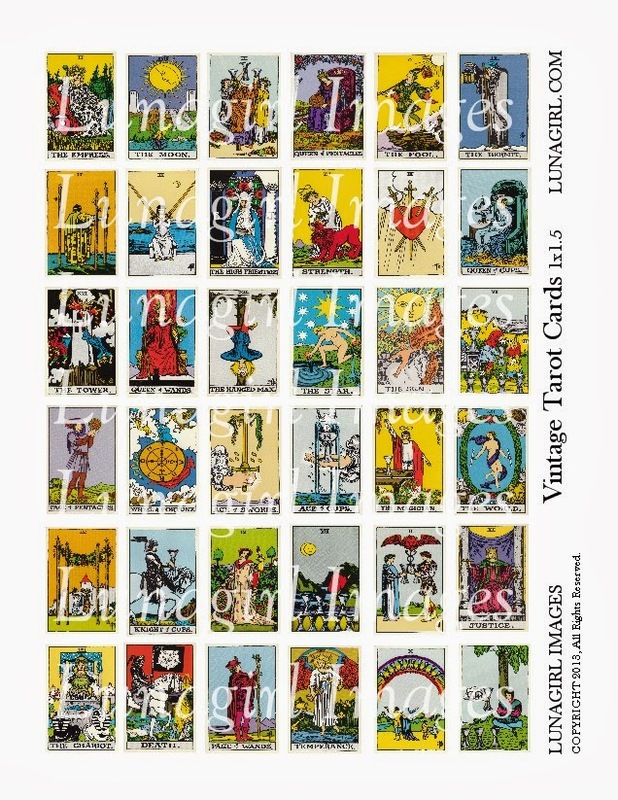 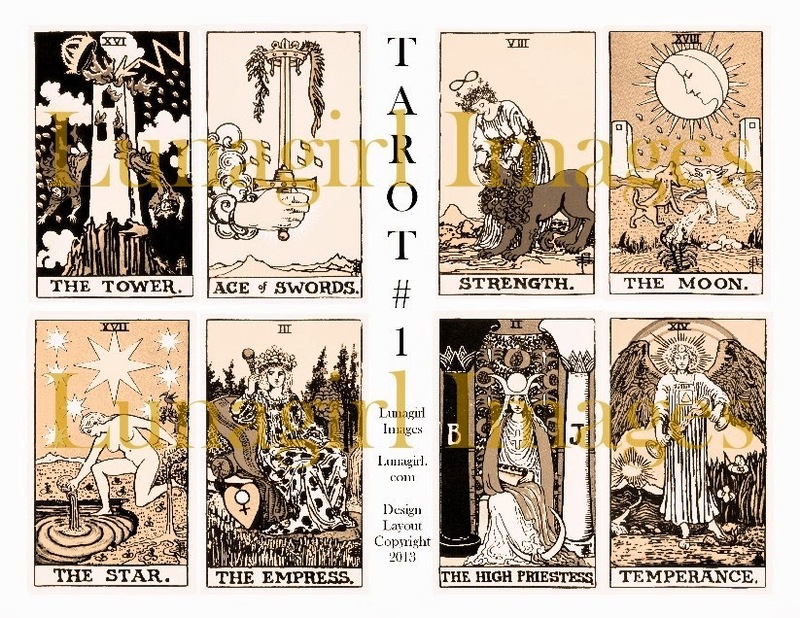 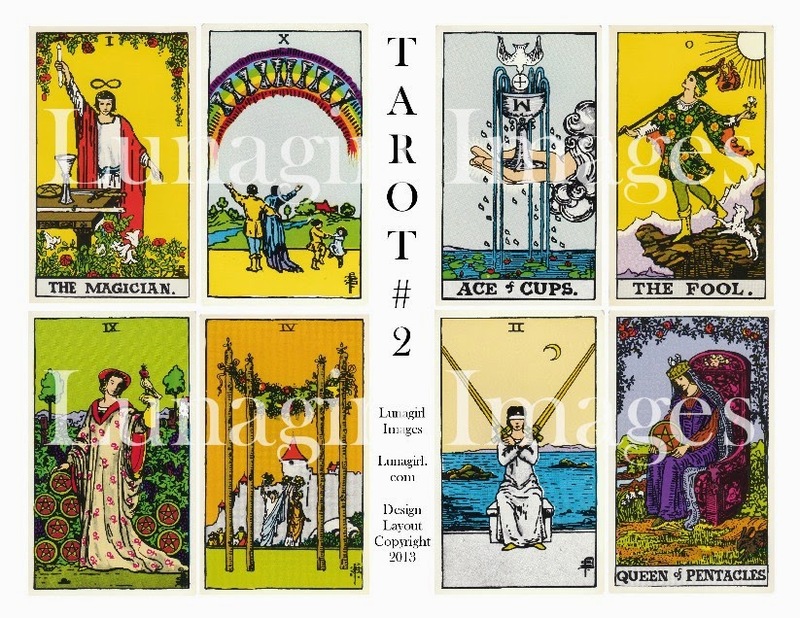 I don't think I've featured these new Tarot card collage sheets before, so here they are. 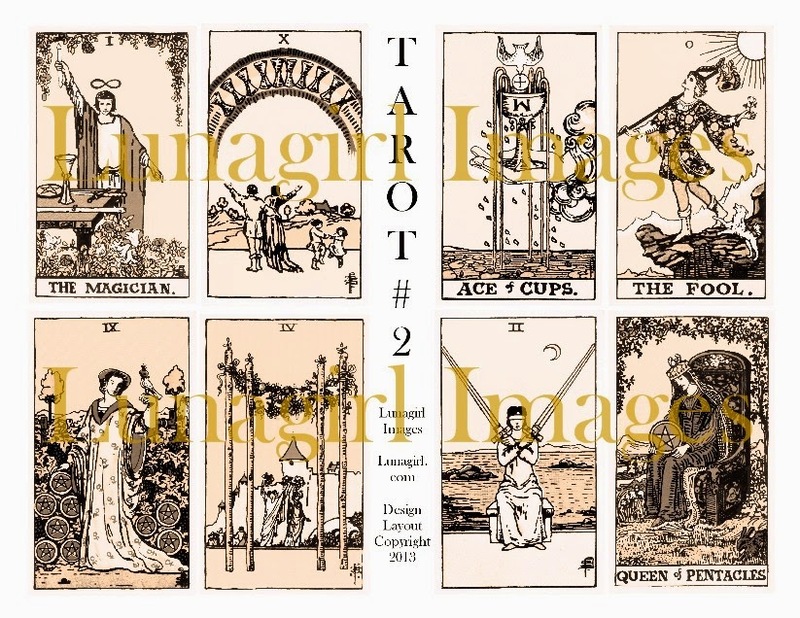 Antique Tarot card art from the Major Arcana and a few Minor Arcana mixed in -- in brilliant colors digitally enhanced, in soft vintage sepia artfully altered, and as tiles 1x1.5" and charm ovals 30x40mm. 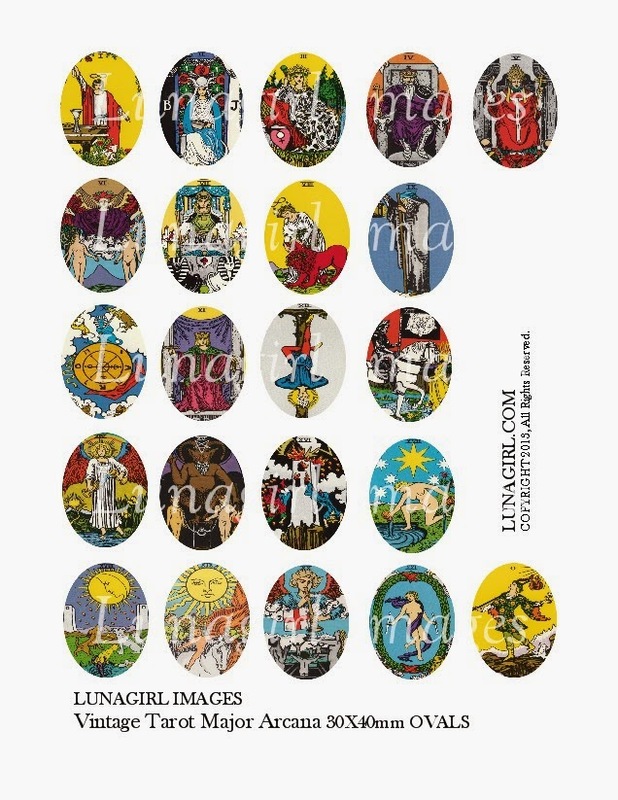 New and ready to download on etsy or Lunagirl.com (click an image to go to Lunagirl).